The Kaduna State Governor, Nasir El-Rufai, has said the Federal and State Governments should reduce the number of personnel that duplicate functions in Ministries, Departments and Agencies (MDAs) in workers’ salaries. 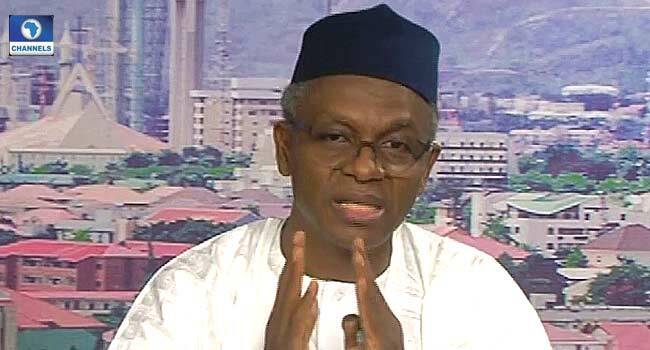 El-Rufai stated this on Friday during an interview on Channels Television’s Sunrise Daily, following the controversy trailing the new minimum wage across the country. “I think there is a need to merge Ministries, Department and Agencies (MDAs) that have similar functions to reduce the number of people. “I believe that not just the state governments, even the federal government needs to scale down, merge duplicating agencies,” he stated. The governor’s comments come on the heels of the approval of N27,000 as the new minimum wage by the National Council of State three days ago. Following the Council’s approval, the Minister of Labour and Employment, Doctor Chris Ngige, stated that the Federal Government is topping the approved amount by N3,000 to 30,000 for its workers. While welcoming the development, the Governor El-Rufai faulted a situation whereby some state governor would still harbour and pay many aides whose roles were similar in governance. He said that the new minimum wage of N27,000 agreed upon by the Federal Government would instil discipline in some governors to be prudent with the resources at their disposal. “I think there is a need for a major surgical operation on the structure and machinery of government. When we came into office, we found out that the former government in Kaduna had 23 or 24 commissioners for the simple reason that we have 23 Local Governments in Kaduna State. “That is senseless. We merged ministries, reduced the number of ministries from 24 to 13. I agree that some state governments have Special Advisers and thousands of Special Assistants and that will go down. I think that this new minimum wage will actually induce that change,” he stated. El-Rufai also advised the nation’s leaders to think beyond oil by diversifying the economy to better the lots of Nigerians.